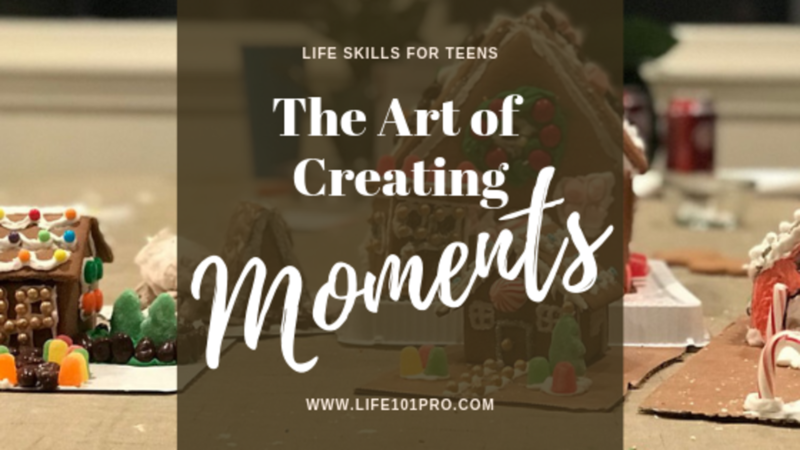 Today’s life skill for your teen is to: help create a fun moment over the Christmas season, instead of just being a participant. For my teens, it was creating a time for decorating gingerbread houses with the cousins. Looking back over my life, some of my favorite Christmas moments were made while decorating gingerbread houses or sugar cookies with my friends and family. I have continued the tradition by having these moments each year for my kids as well. This year, I am passing the torch to my teens, and they are coordinating our family moment of decorating a gingerbread house. Helping your teen grow these muscles will help them handle projects that require more than one step and following through the tasks assigned to them. Hosting a Christmas Party doesn’t have to be complicated. I mean it really does boil down to an organized time hanging out with your favorite peeps, right?! However, sometimes throwing the word “party” into the mix can make the gathering a little more stressful for the host. A great life skill to have when heading into the real world is how to host a party. 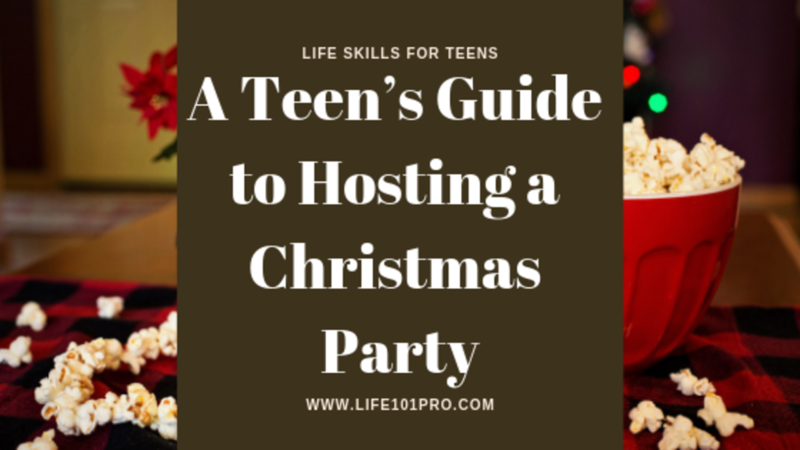 With that in mind, we’d love to walk you through some simple questions to answer that will help get your party organized and hopeful take some of the stress out of planning a Christmas Party. You’ve got this! What day and time do you want the party to take place? Friday or Saturday night are good choices because your guests can sleep in the next day. A Thursday night or Saturday morning might be a good choice too, as calendars can get pretty full with events in December. How long do you want the event to last? 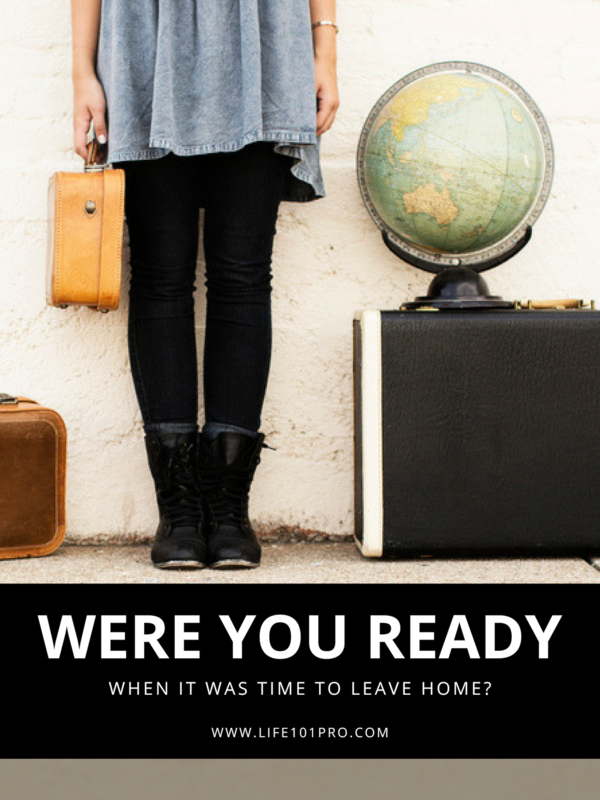 Were YOU ready for adulthood? 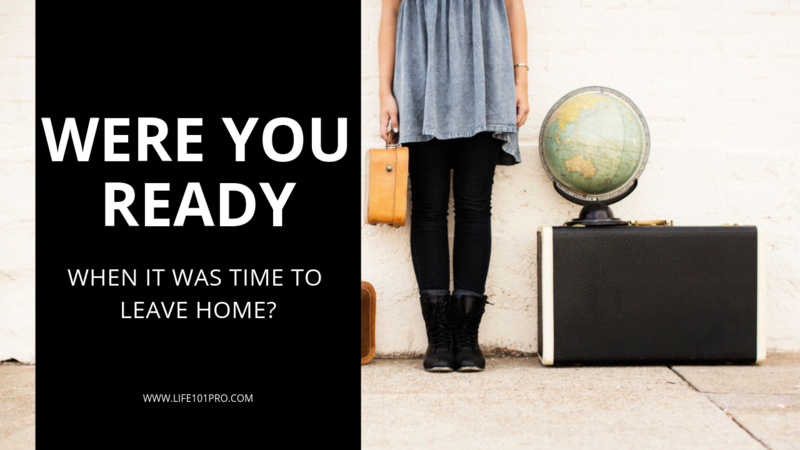 Were YOU ready when it came time for YOU to become an adult? Were any of us? I know I know I wasn't! LOL, we were married at 19 and ready to take on the world. As we began stumbling through adulthood, we never even saw those first curve balls coming. No one taught us the things we REALLY needed to know to live confident and successful lives. Our education gave us knowledge, but it didn't teach us life skills --- like what the invisible workplace expectations were or how to manage money and why that's important. So many parents have such great intentions. 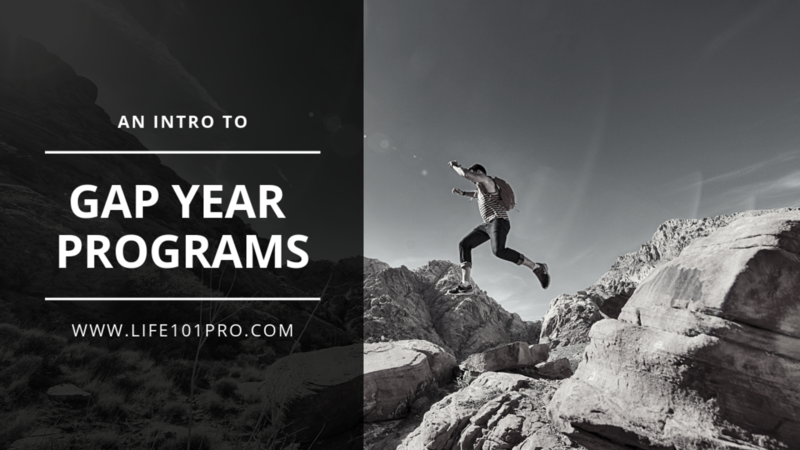 However, sometimes life gets in the way and those necessary courses for the transcript take priority and those life skills for adulthood get bumped back a year and another year. The media wants to tell me that we all hate each other and that their is only "us" and "them". Well, we, the Dickey Clan - the precious redhead family behind Life 101 Pro, decided we can do better than that. We are choosing not to focus on any sides. We are choosing kindness. For where there is kindness, there is love. Where there is kindness, there is grace. Where there is kindness, there is hope. 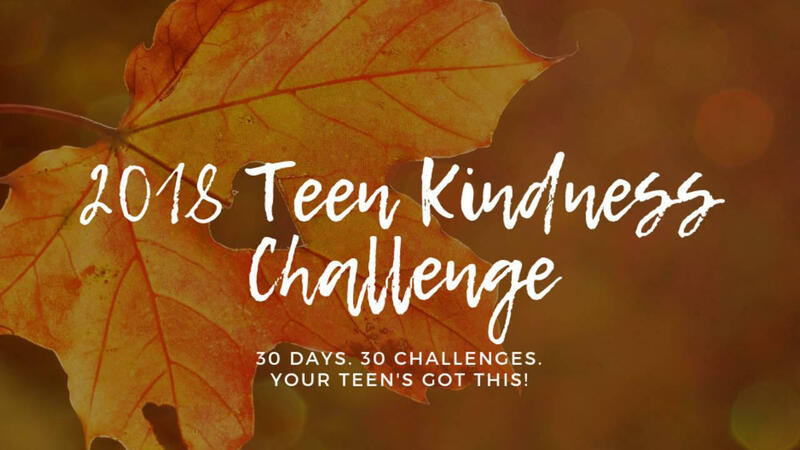 How does the 2018 Teen Kindness Challenge work? Imagine all our families using concentrated effort to share kindness every day for the month of November? !